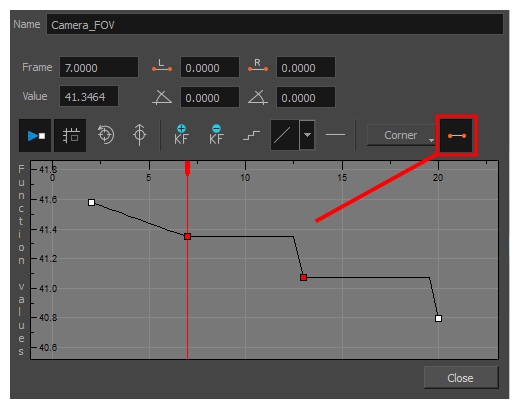 You can switch a keyframe from stop-motion to motion at any time in the Timeline view and Function Editor. On the right side of the Timeline view, select one or more keyframes to modify. Right-click on the selected keyframes and select Set Motion Keyframes or Set Stop-Motion Keyframes. Press Ctrl + K (Windows/Linux) or ⌘ + K (macOS) for motion keyframes and Ctrl + L (Windows/Linux) or ⌘ + L (macOS) for stop-motion keyframes. In the Timeline View toolbar, click the Motion Keyframe or Stop-Motion Keyframe button. In the Timeline view, double-click on the layer that contains the keyframes you want to convert. The Layer Properties window opens. 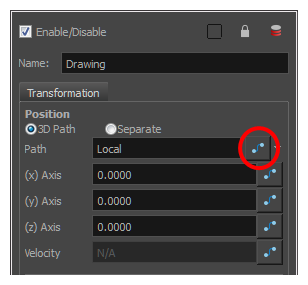 In the Transformation tab, click the Function Editor button. In the Timeline view, click the Expand Function button or press Alt + F and double-click on the function to edit. 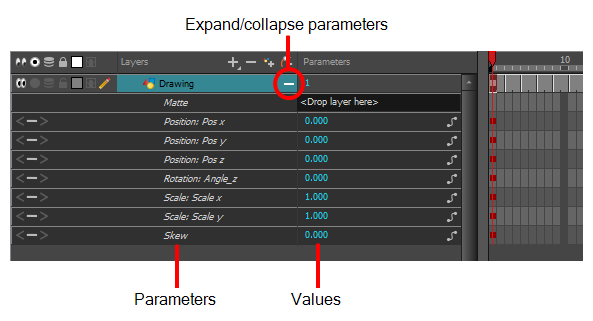 On the function curve, select one or more keyframes to modify. Select or deselect the Stop-motion Keyframe button to set a stop-motion or motion keyframe.